Chic, stylish and flawless, the Silhouette Diamond collection will accentuate any outfit from day to night. Styled in a gold tone, white dial boasting 6 diamonds, with the fantastic Eco-Drive movement fitted inside, a beautiful watch for the one that you love. 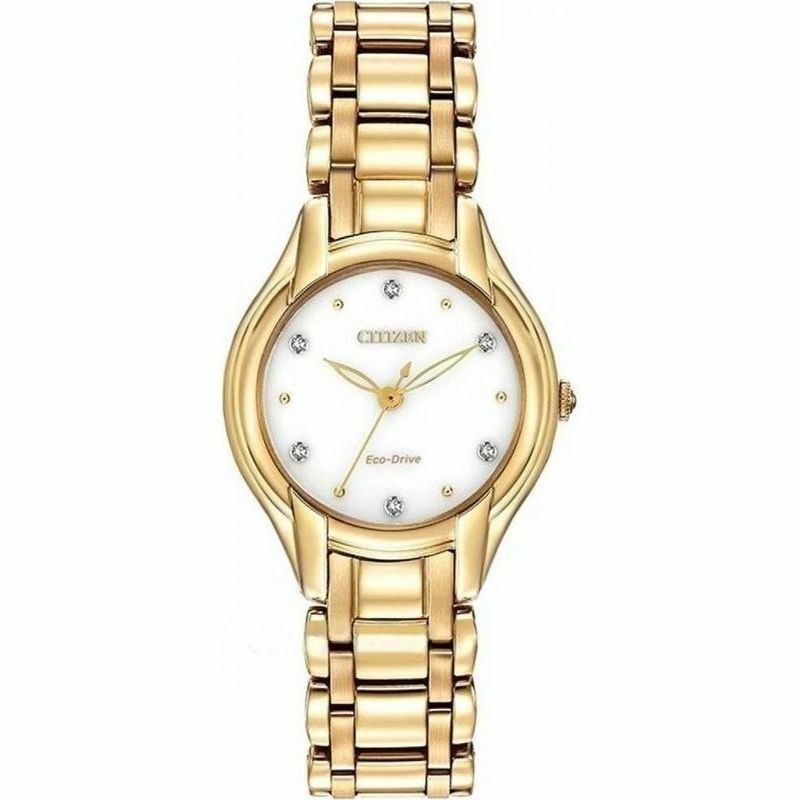 You can read about Citizen's Eco Drive and their Brand information here.